“It feels awesome,” Christina Koch said when she heard her mission in space will be extended to 328 days. NASA recently announced which astronauts will be traveling to the International Space Station — and the new schedule means that one astronaut will be staying almost a year in space. Christina Koch, who reached the ISS on March 14 alongside Aleksey Ovchinin and Nick Hague, is now expected to remain in orbit until February 2020, when she will return in a Soyuz spacecraft. The mission will be the longest any woman has spent in space, with Koch overcoming former NASA astronaut Peggy Whitson, who spent 289 consecutive days in orbit. It is also very close to the overall record, currently held by NASA’s Scott Kelly, who spent 340 days in space from March 2016 to March 2017. In addition to details about Koch’s long trip, NASA also released other details about who will arrive and depart this year. Three crew members are set to leave the ISS in June, to be replaced by three other members in July. Three more astronauts will join the ISS in September, meaning that the space station will be briefly crowded with 9 people. This will only last for a short while, however, as three members will return in October. Another female astronaut will likely be spending an extended period of time in space: first-time flyer Jessica Meir who is set to be departing in spring 2020. 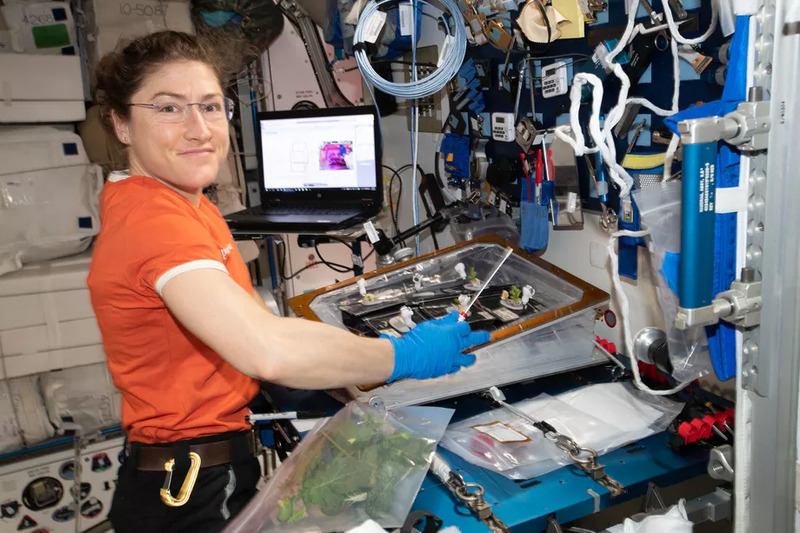 In addition to her activity on the ISS, Koch’s stay will also be long enough to offer NASA more information about the effects that microgravity has on the human body. NASA got a bit lucky with the fact that two twin brothers (one of which is record-holder Scott Kelly) were both astronauts working with the agency — which allowed them to study physical differences created by living in space. Koch’s experience will offer even more useful data. Christina Hammock Koch is an engineer and NASA astronaut of the class of 2013. She was previously the NOAA Station Chief for American Samoa and has dreamed of becoming an astronaut since childhood.